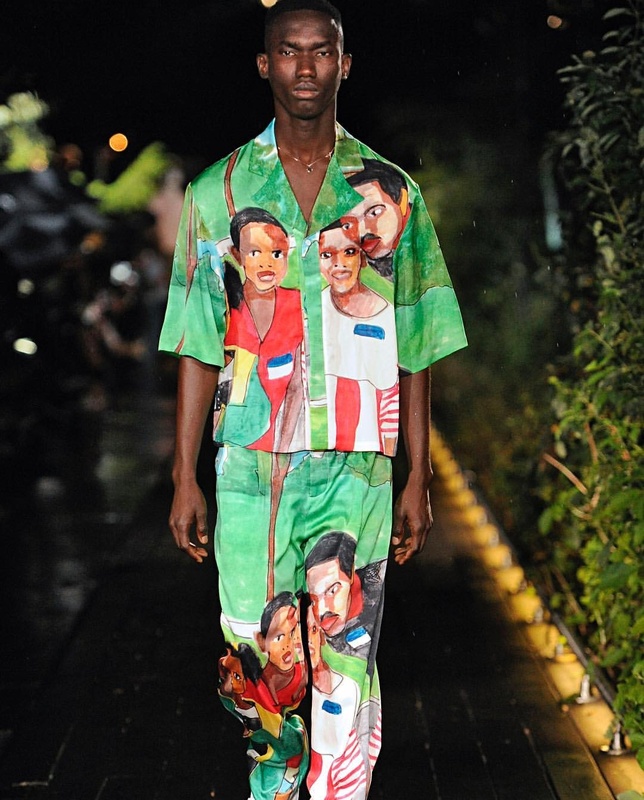 n a time where there is relative oversaturation in the fashion industry especially when one sees near generic and almost bland fashion brands popping everywhere, finding one that truly stands for something with a unique voice and identity is a treasured breath of fresh air. 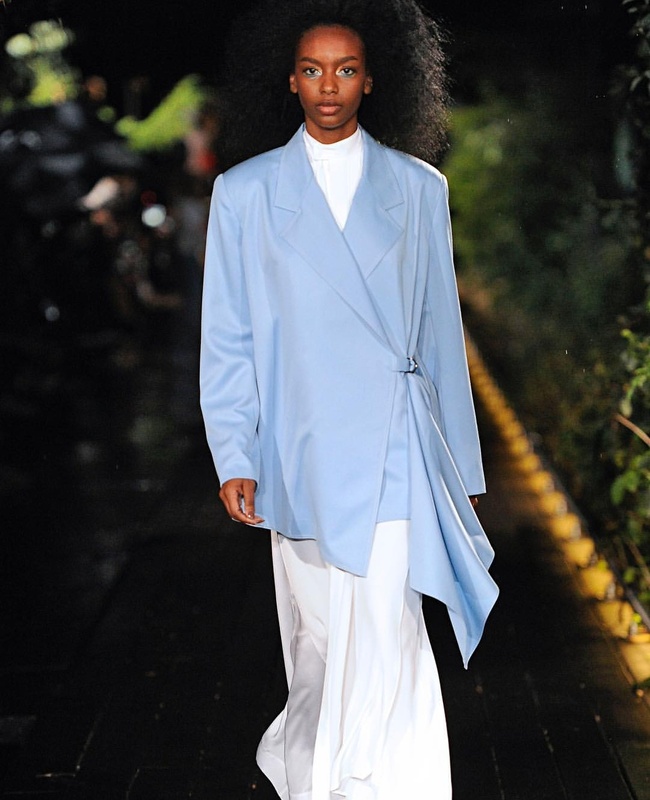 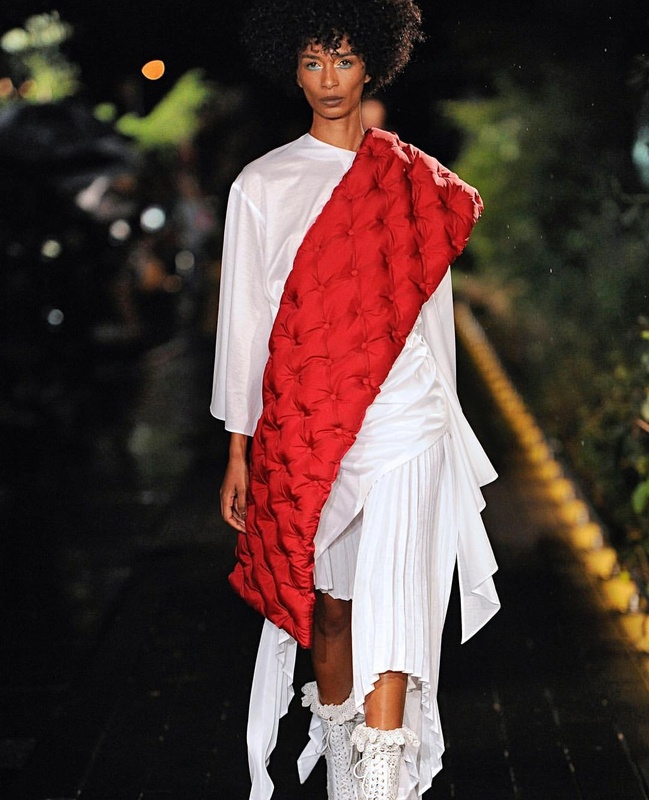 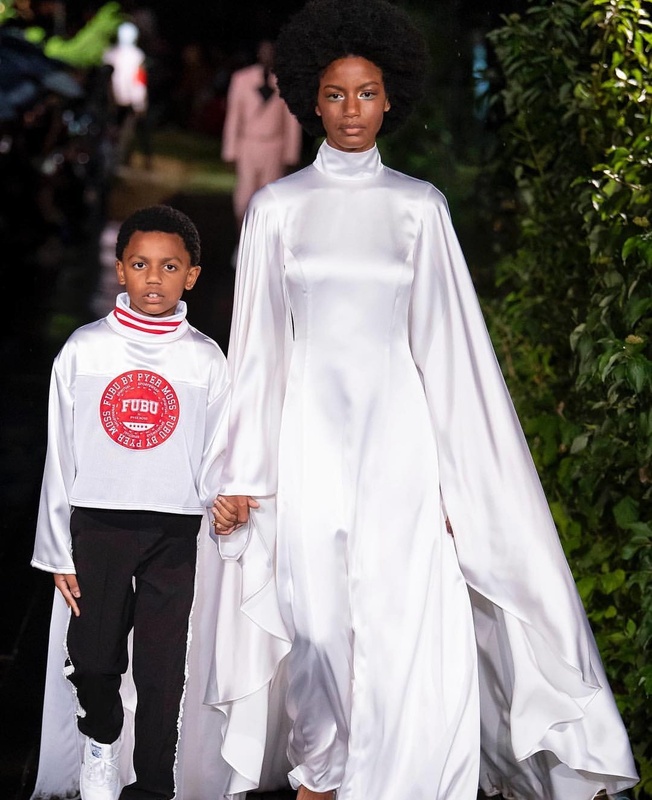 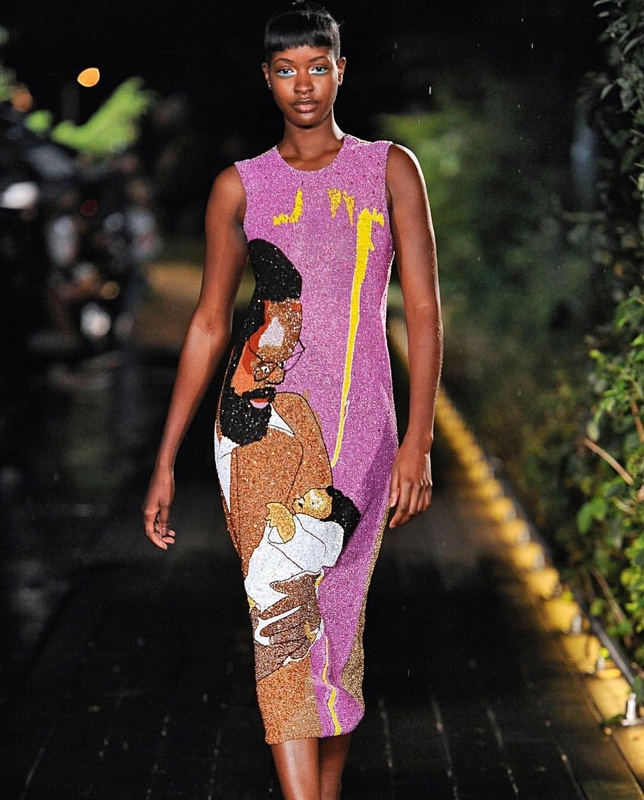 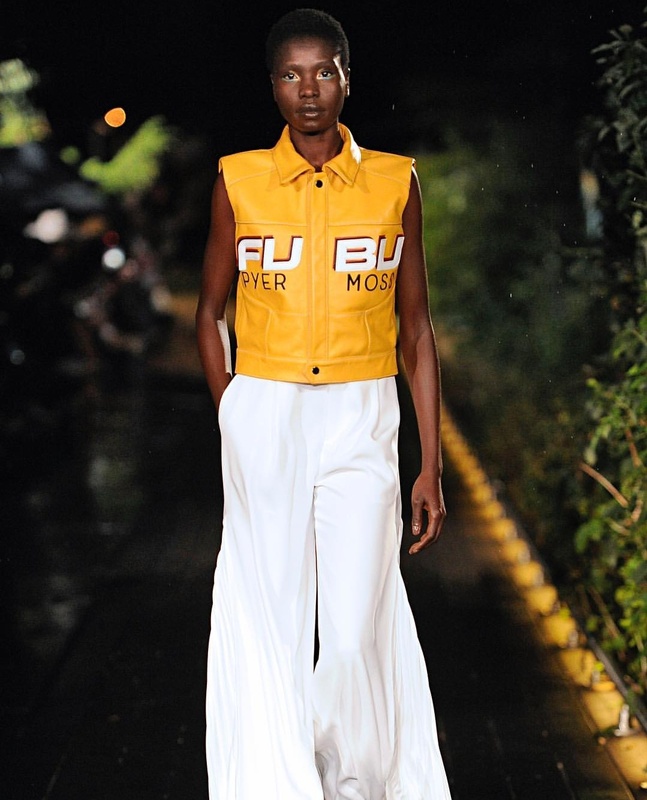 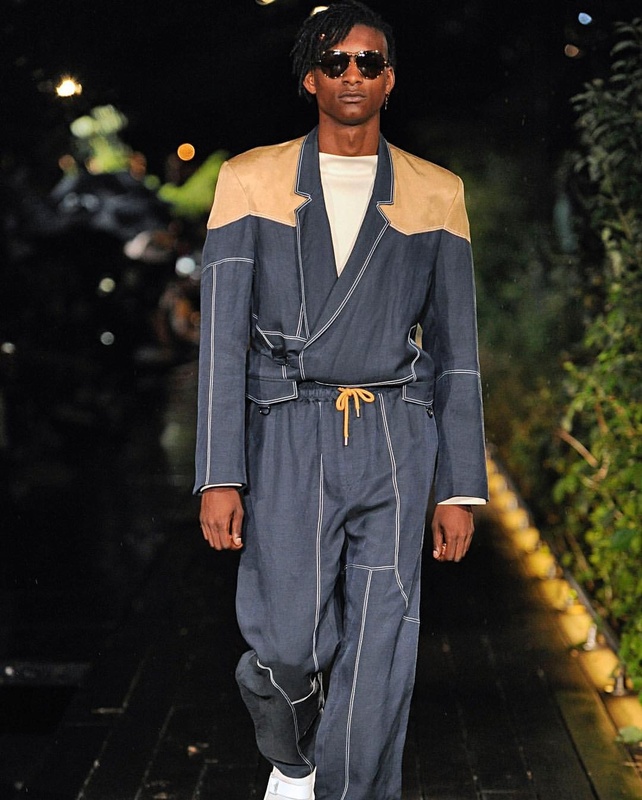 But Pyer Moss, a fashion brand owned and directed by designer Kerby Jean-Raymond is more than a breath of fresh air, and his SS19 Collection presented during the just concluded NYFW proved this. 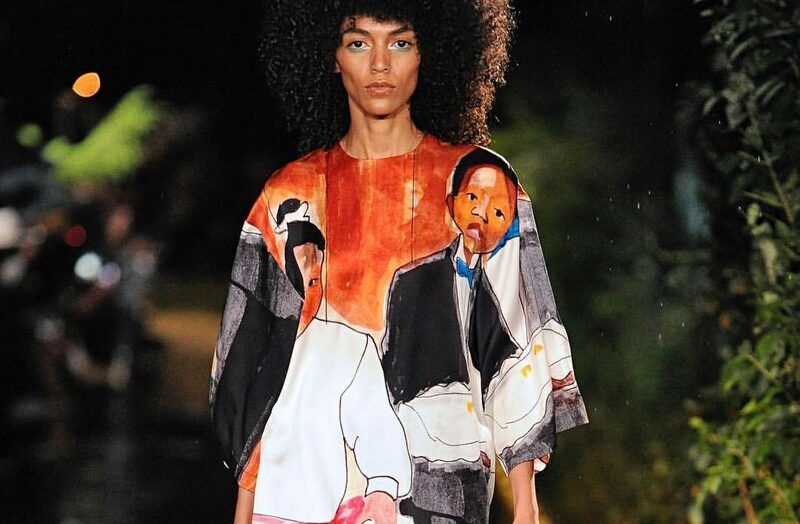 Seeing how we are living in a time with many social issues especially those that are tied to the American black community which are long overdue to be addressed, one can only truly appreciate any platform that starts and encourages such conversations and Pyer Moss is taking the bull by the horns in this regard. 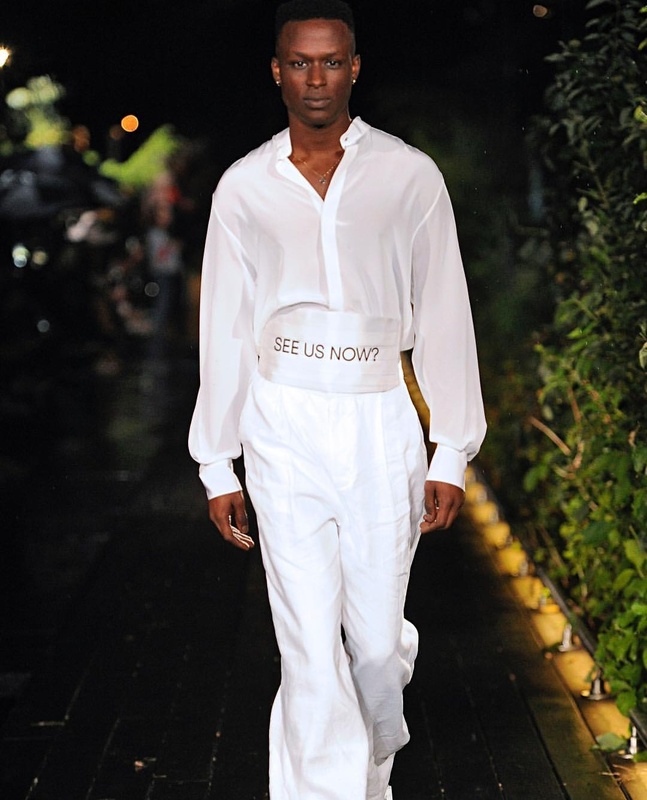 The FGI Rising Star Award-winning fashion brand was founded in 2013 but came into spotlight and popularity after its Spring Men’s Wear Collection presentation during the 2016 New York Fashion Week when through the use of statement-making fashion, videos and so much more made overt references to social issues that plagued the black community such as police brutality – a very Beyoncé’s Formationesque moment – and also drew attention to the rising Black Lives Matter movement. 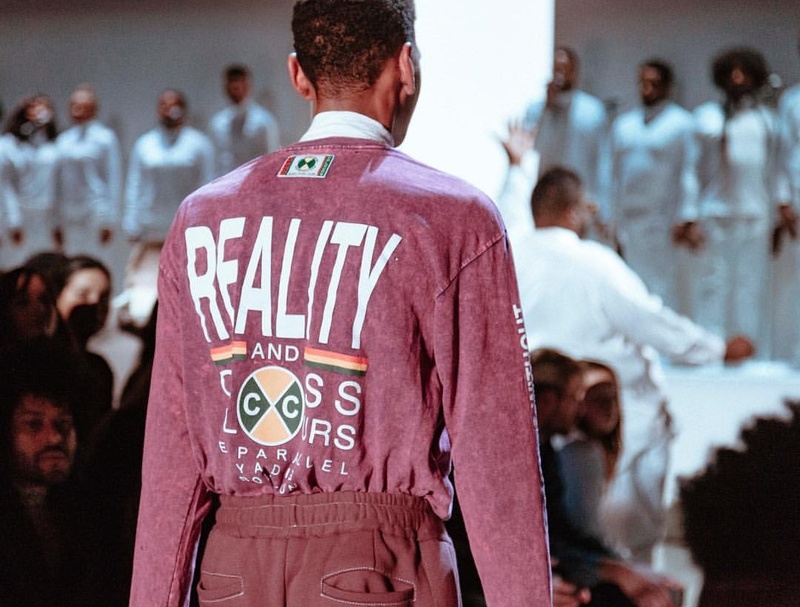 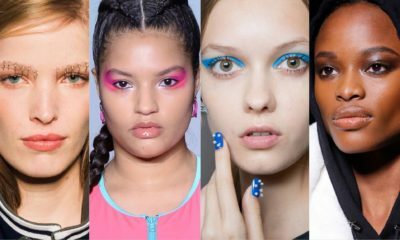 Years after the brand’s debut, it remains loyal to its roots in black culture and continues to tackle the several mounting issues in the black community. 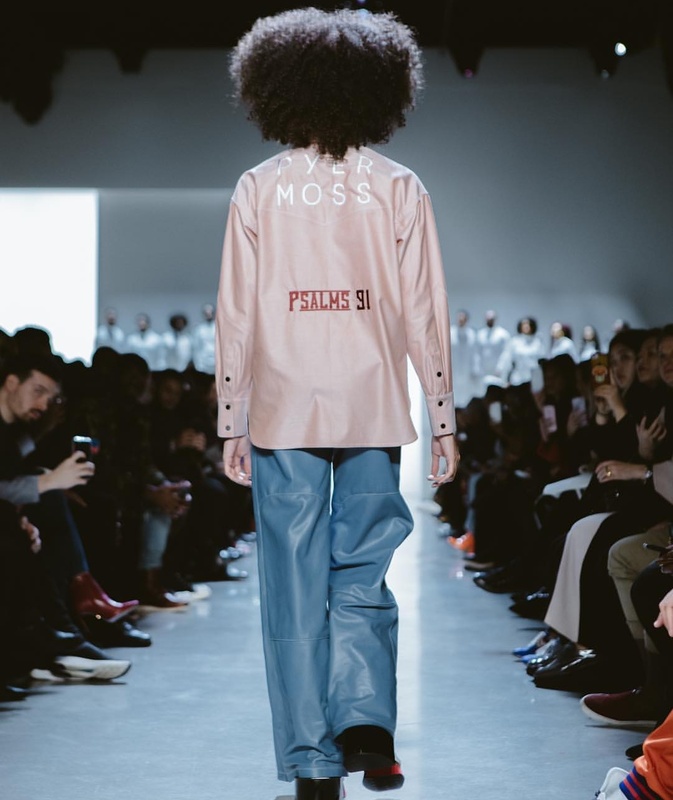 Pyer Moss has continued to create fashion and art that celebrate black culture as well as making fashion statements that address issues in the community, encouraging the conversations necessary to advance the same. 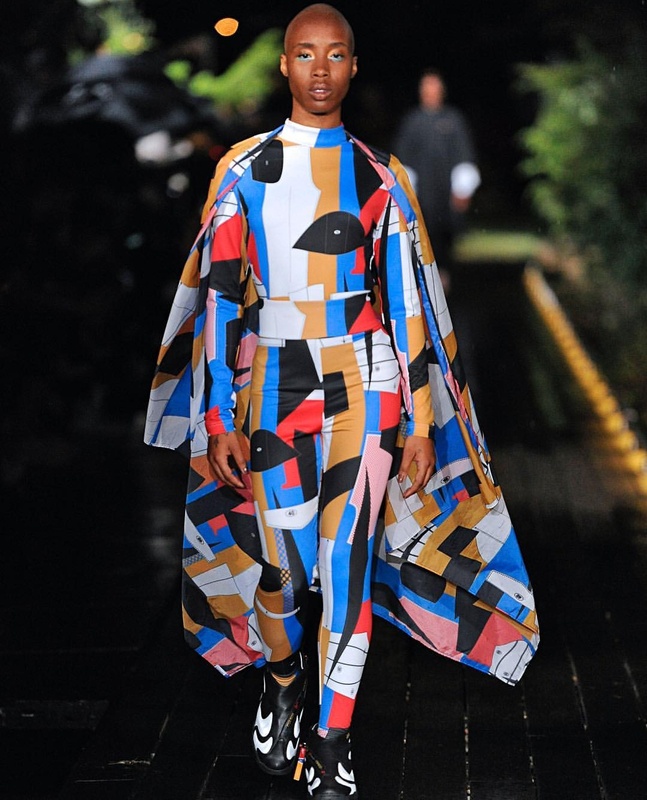 The brand’s unapologetic nature to statement fashion is what makes it stand out and it brought that and so much more to the just-concluded New York Fashion Week where the brand outshined and upstaged bigger fashion designers with its creatively designed statement pieces which elevated and celebrated blackness in one of the historically blackest neighbourhoods in America; Brooklyn. 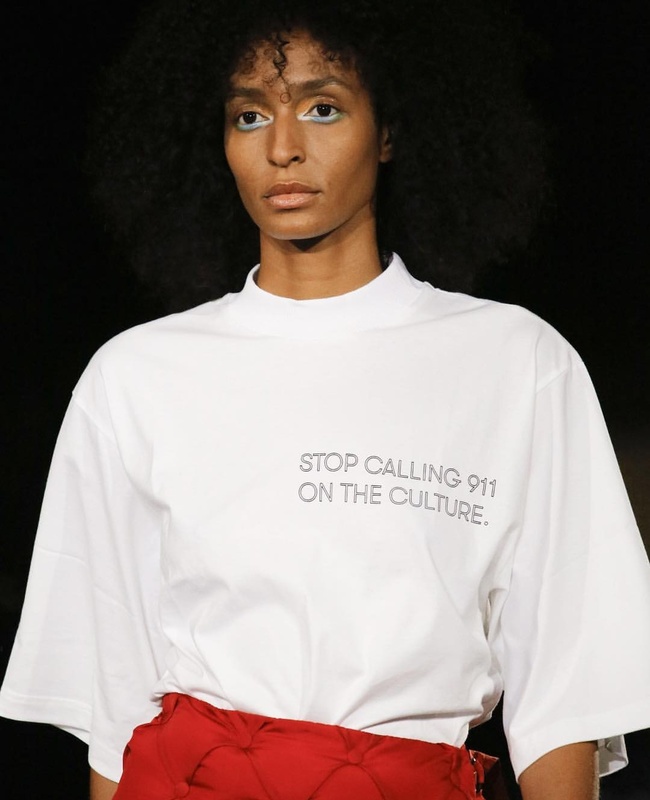 The powerful presentation included several statement-making t-shirts which had captions like “Stop calling 911 on the culture” to reference the recent and sadly growing habit of white people calling the police on blacks for no valid reason. 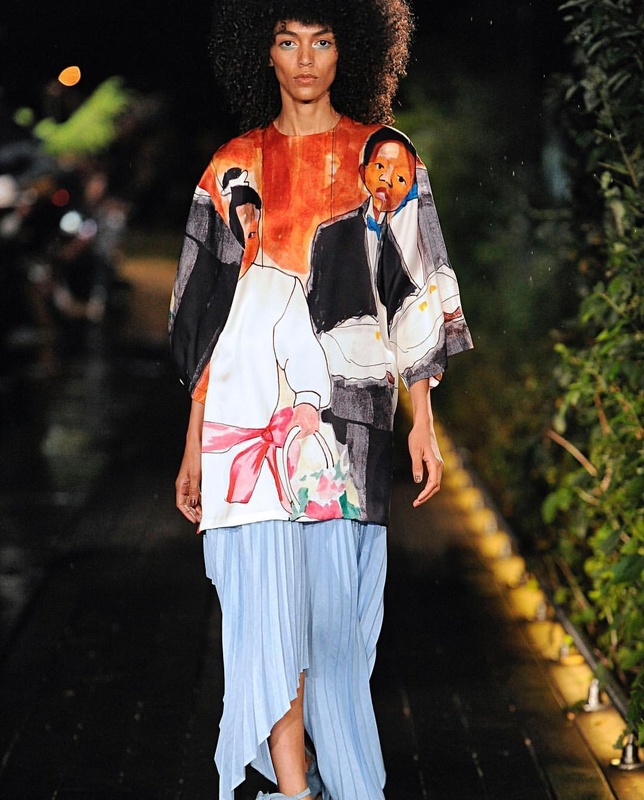 There was also a collaboration between Pyer Moss and artist Derrick Adams who was commissioned to create ten portraits of black families partaking in regular everyday activities which were then turned into pieces for the collection – that touch aided in making the atmosphere even more emotionally charged than it already was.